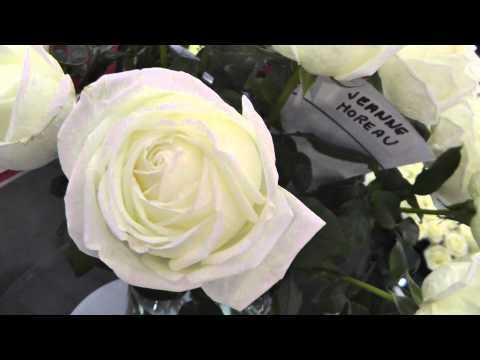 Jeanne Moreau garden roses are soft creamy white and deliciously scented roses that can open up to an almost saucer shaped bloom. These are very soft and fragrant roses! Jeanne Moreau garden roses have the open, loose petal structure typical of garden roses as well as a particularly romantic feel. These roses are an soft to creamy white shade. Garden rose flowers are a classic and elegant look for beautiful brides and make sophisticated wedding bouquets, boutonnieres or any arrangements. Now with Free Shipping!